Ultraviolet photograph of a white Wisteria flower. 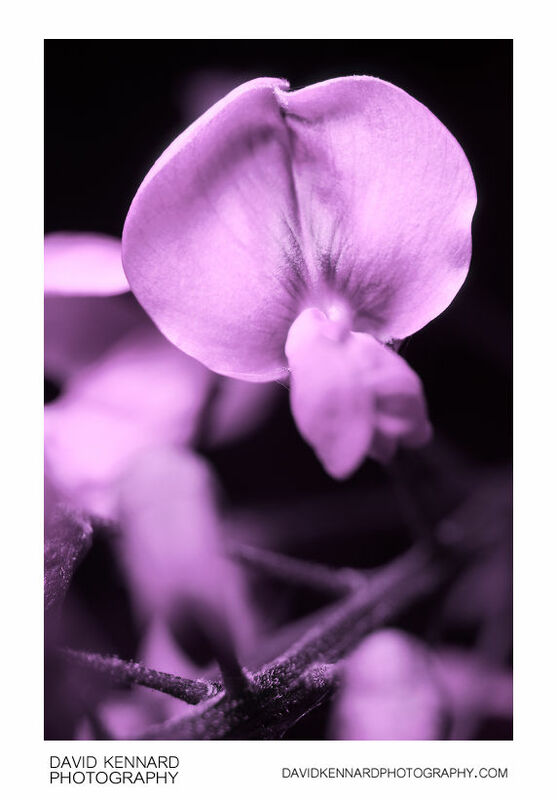 The flower's banner has a dark marking around the base that is only visible in ultraviolet. Bees and other insects can see ultraviolet light, and it is believed these marking help guide them to the flower's nectar and pollen. Wisteria has long racemes of flowers, produced in Spring before the leaves open. The plant is a climbing vine and is often used to adorn trellises and the sides of buildings.